Acidithiobacillus ferrooxidans is a gram-negative, autotrophic and rod-shaped bacterium. It can gain energy through the oxidation of Fe(II) and reduced inorganic sulfur compounds for bacterial growth when oxygen is sufficient. It can be used for bio-leaching and bio-oxidation and contributes to the geobiochemical circulation of metal elements and nutrients in acid mine drainage environments. 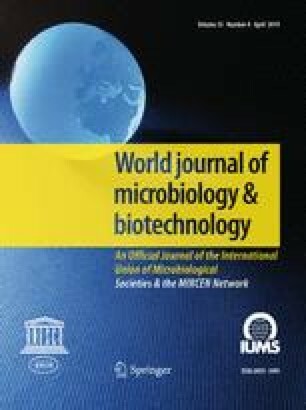 The iron and sulfur oxidation pathways of A. ferrooxidans play key roles in bacterial growth and survival under extreme circumstances. Here, the electrons transported through the thermodynamically favourable pathway for the reduction to H2O (downhill pathway) and against the redox potential gradient reduce to NAD(P)(H) (uphill pathway) during the oxidation of Fe(II) were reviewed, mainly including the electron transport carrier, relevant operon and regulation of its expression. Similar to the electron transfer pathway, the sulfur oxidation pathway of A. ferrooxidans, related genes and operons, sulfur oxidation mechanism and sulfur oxidase system are systematically discussed. This work was supported by the National Natural Science Foundation of China (Grant No. 41471201), Natural Science Foundation of Heilongjiang Province of China (Grant No. QC2014023), Longjiang Scholar Program of Heilongjiang Province (Grant No. Q201815). University Nursing Program for Young Scholars with Creative Talents in Heilongjiang Province (Grant No. UNPYSCT-2015086), Open Foundation of the Heilongjiang Provincial Key Laboratory of Environmental Microbiology and Recycling of Argo-Waste in Cold Region (Grant No. 201704), Research Innovation Program for Graduate Students of Heilongjiang Bayi Agricultural University (Grant No. YJSCX2017-Y63), Support Program of Scientific Research Team and Platform of HBAU (Grant No. TDJH201809) and Technology Program of Land Reclamation General Bureau of Heilongjiang (Grant No. HNK135-04-08).